It’s summer time and you want to feel protected with the right antiperspirant. 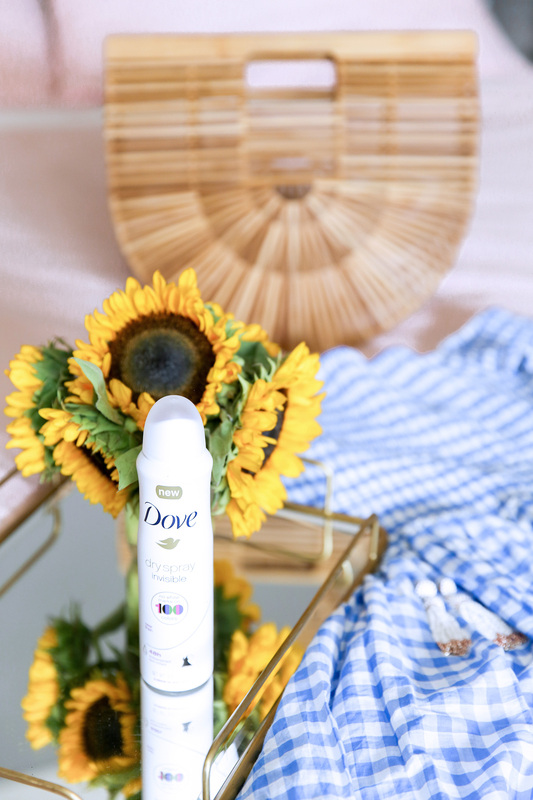 When I wear color, white marks are a non-issue with the Dove Invisible Dry Spray Antiperspirant. There’s nothing more inconvenient than seeing white marks all over your outfit. Did you know 1 out of 3 women completely change their clothes after facing white marks, while 57 percent try to wash it out. I’m a last minute dresser, and after I finish my look, I make a dash out the door. There’s no time for a complete outfit change. 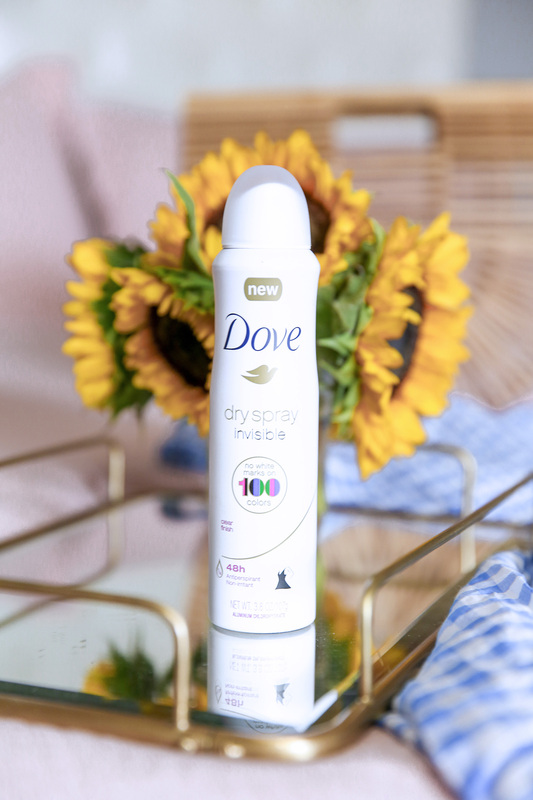 The Dove Invisible Dry Spray Antiperspirant leaves zero marks on 100 colors and keeps you fresh with a 48-hour protection. 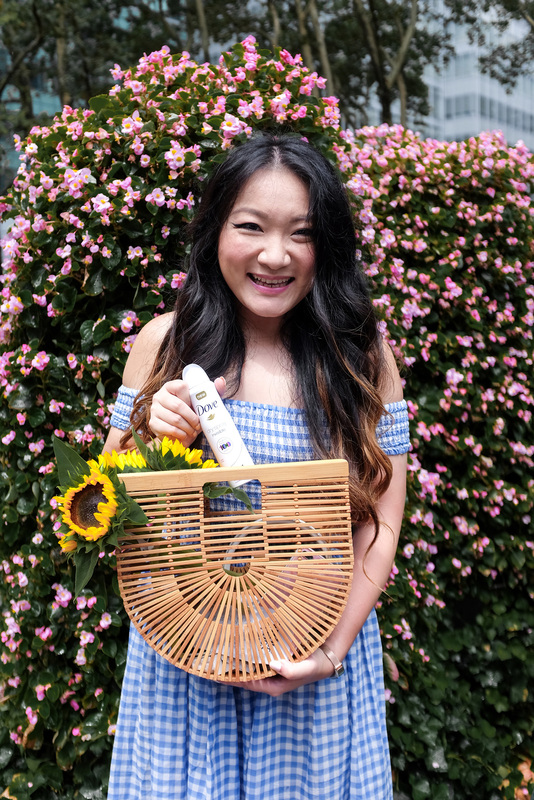 Plus, I always like to choose Dove because there’s a skincare component (signature 1/4 moisturizing technology) to their products that leave your skin softer and smoother. It comes in two scents — Clear Finish (notes of rose & white flowers) and Sheer Finish (crisp & clean floral). I absolutely love the femme smell of the former. So, how does it work? The active ingredient is antiperspirants is a white powder that often ends up stuck on your clothes. It shows up due optics related to light scattering on objects. 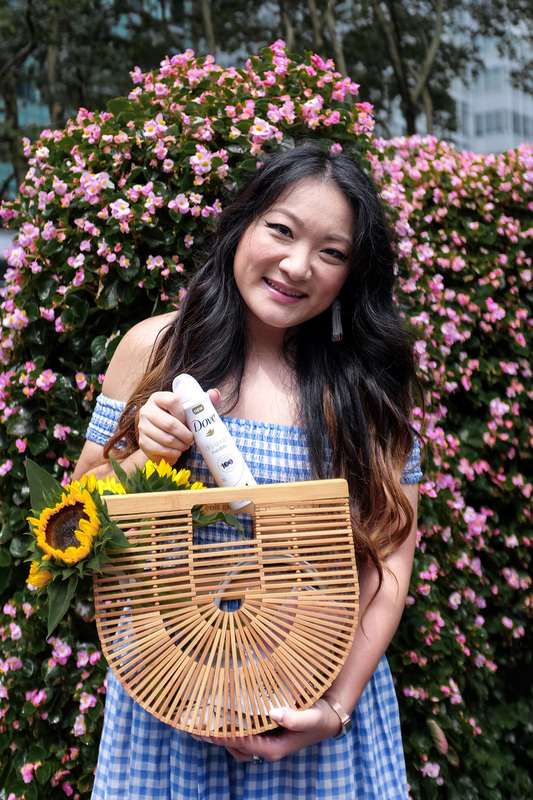 The new spray contains a masking oil and a finer milled active ingredient so the product doesn’t show up where it doesn’t belong. I do love getting to the science of how products I use work. So, here’s to heading out in confidence and dressed to impress. With a closet full of different colors (especially LBD’s) I can now avoid the hassle of getting something on in weird contorted positions, ha! Go ahead and give it a try for yourself.